Black bottle, PEI caps, black tube and a 304 stainless steel end pin. Each bottle and it's components are steralised in a medical autoclave at 134°C for 10 minutes ensuring they are as clean as possible. 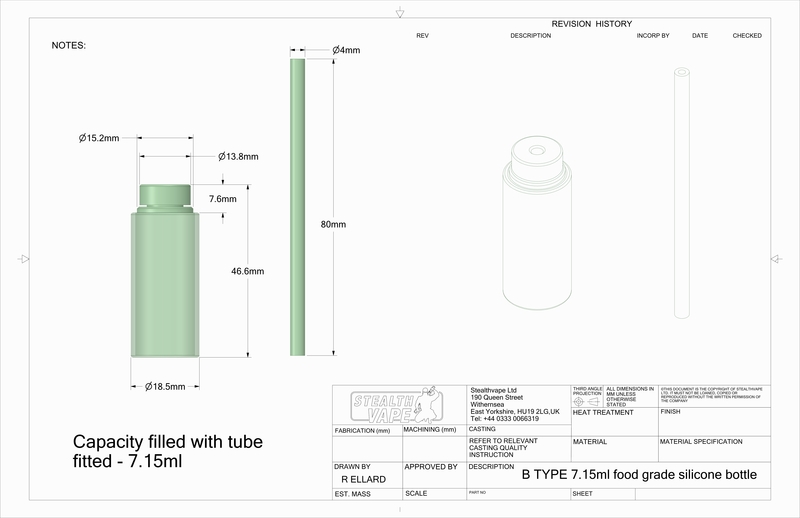 7.15ml completely filled capacity with tube fitted measured by weight.